The cooler weather is settling in and the frigid Arctic winter is just around the corner. It's a perfect time to settle in and read, which I've been doing a lot more of lately, especially in the evening hours. What does reading do for you? For me, it does a couple of things. First, it provides relaxation for my body. When I read, it's my sole focus. I'm not thinking about my next storyline, nor am I thinking about what I plan to do later or tomorrow. When I sit with a book, it becomes my world. Second, it provides me with an attitude of thanksgiving. There are so many stories I've read, stories which I'm glad were not my own. By that I mean I'm glad I didn't have to live the lives of so many characters I've met through the written word. When I read about a mother who lost her child, a victim of child abuse, or a man afflicted by memories of war which prevent him from moving forward in life, I take a few moments and whisper a prayer that it is not my life, not my struggle. I also pray that God will help those people who are struggling in such areas. That being said, lately, I've been struggling with fear of the unknown, of what the future may hold in certain aspects of my life. 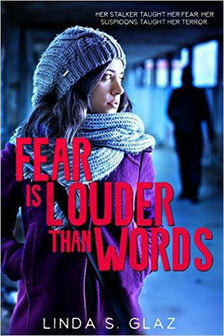 Though my reasons for feeling afraid are different, it reminds me of Rochelle Cassidy in Fear is Louder than Words. She was definitely terrified of her stalker, but she was also terrorized by the thoughts going through her mind. I can attest to feeling the same way over recent weeks. On January 1, people make resolutions for the upcoming year - improving their lives in some way, planning a trip they've been putting off forever, finally deciding to buy their dream house, and so on. It's a new beginning and many people want to embrace something new. I live in the Arctic. Though I, too, have ideas for what the new year may bring, it isn't until spring when I really feel as if I'm getting a new beginning. Perhaps it's because I don't feel the Arctic cold as I do in January. It could be because the days are growing longer and I'm not going to work in the dark and coming home in the dark. The dreary days of February have become a thing of the past and I look forward to April when even warmer temperatures announce themselves. Whatever the case, right now, I feel as if I've been given a new lease on life. I'm at the top of my game, so to speak. I will be taking a trip to Winnipeg to spend time with my two grandchildren in April, whom I haven't seen for two months. It may not seem long to you but, considering they lived with me their whole lives, going two months without seeing them seems like forever. I can't wait to take them on a vacation. This coming summer, I will also be relocating after almost 22 years. I don't know where my family and I will be moving yet, but it will be somewhere else in Arctic Canada, I presume. I say with all of the sarcasm in the world that it will be fun sorting through a lifetime of stuff, going through it to determine what's needed, what can be sold or even discarded. Before I even get to the new place I'll (hopefully) come to think of as home, I will be welcoming another grandchild into the world. I'm thinking it will be another boy, but time will tell. Once again, I will live with a grandchild in my home for a couple of years before I take on separation issues again as another child goes off to college. Will I get married this year, or will it be the next? It could be next year since this year seems to be full enough with everything that's going on in our lives. When I get married, will I keep my name as Budden or add Peter's surname to mine? So many questions I never thought I'd have to think about again. We'll see what time brings. Change - for so many years, despite changes taking place, so many things remained the same in my world. I had the same close friends, the same job, the same home, the same kids (as if I could change them) and even did the same things to pass the time. You could say I had a routine. The upcoming changes are a lot for a person like me to absorb, but I'm looking upon everything as a new beginning. 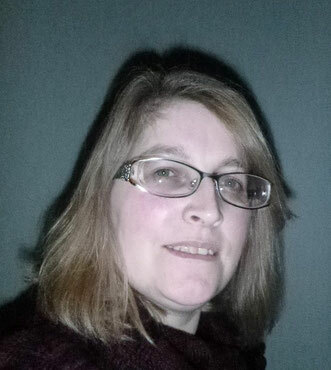 I will be able to meet new people who may also become interested in the books I write, or the books I review. I will make new friends without losing my old friends. My two children who will be with me may be able to meet a close friend, or two, so they won't feel alone in their new world. I will, finally, have a living room again, instead of a living-room-turned-bedroom. I'll be able to kick my feet up with a baby sleeping on my chest. I'll have an excuse to look at baby clothes again and, most importantly, I'll be able to spend more quality time with my family even as I continue to set aside time to write and review books here at Budden Book Reviews. On January 1, I didn't foresee all of the changes that would take place in my life in the span of six months, but things happen at certain times in our lives for a reason. I'm not going to question it; I'm just going to embrace life and all of the good things it has to offer. What about you? Are you going through a lot of change in your life? Are you embarking upon an adventure? Feel free to share your story with us.